In view of simplify and optimize the corporate communication, finally making it effective and digital, the City of Cavallino in the province of Lecce, Apulia – Italy Southern has chosen to invest in new technologies, leveraging the use of smartphones to open a channel for direct dialogue with the citizens. 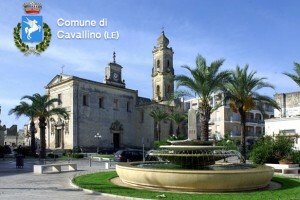 In particular, all the events of the Municipal Theatre of Cavallino, from today will be communicated to the citizens via SMS with the service “SMS Service Landing” provided by the computer company Macnil-Zucchetti, official partner of Telecom Italia. This service will allow the authorities to reach anyone in real time, and save the huge cost of promotional activities. “Sms Service Landing” marks the beginning of an innovative experience that will make mobile communication more attractive and engaging, and allow full traceability of sms and gathering information on the opening of the landing and the performance of the entire campaign. For more information on SMS Service Landing contact us here!